MASTER HP Series provides maximum protection and power quality for data centres and industrial loads. 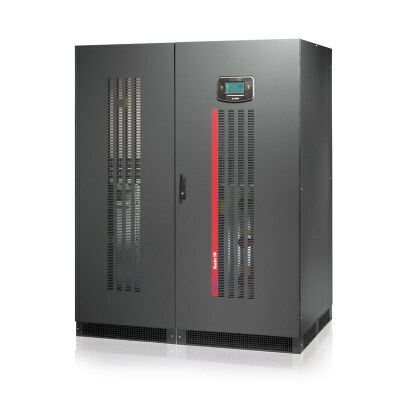 The UPS has an IGBT-based rectifier, DSP (Digital Signal Processors) technology and provides true On-line, double-conversion power protection, (VFI SS 11 – Voltage and Frequency Independent in accordance with IEC EN 62040-3). The HP series provides exceptional operating effi ciency (over more conventional thyristor rectifi er-based systems), a compact footprint and easy maintenance access – all ideal for today’s critical operating environments.